Phillipa “Pip” Parr has been an RN at Canuck Place for 15 years. She is an adventurous spirit who has spent her entire career in pediatrics. After working in Oncology, she found herself looking for a more gentle approach to working with sick children. The values and vision of Canuck Place allows nurses like Pip to turn her attention to entire families. Rather than simply looking to address the physical trials children in her care face, she is able to care for their emotional needs, and the needs of their entire family. Canuck Place has given Pip a new appreciation for life, and helps her live in the moment while spending time with her own children. Pip’s passion for life doesn’t end there however. 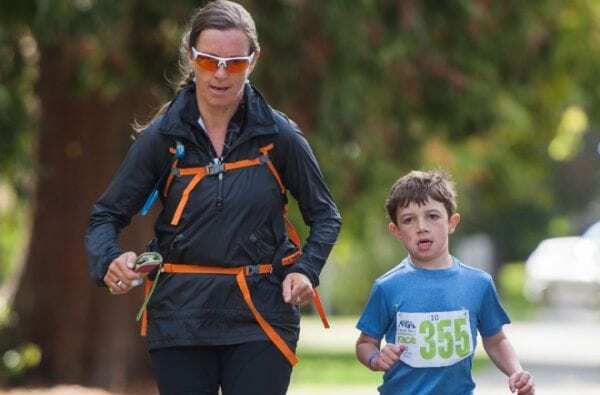 She is also a committed athlete, competing in numerous Adventure Challenges, including the 50km MOMAR in Cumberland, and our own Canuck Place Adventure Race. We love her support in the house and on the course, and Canuck Place is very lucky to have such a dedicated, passionate woman on our nursing team. Support the passion of Canuck Place nurses. Donate Today.